I don’t remember exactly when I discovered Mastodon. I think it was 2008 but I’m not sure. I was always interested in discovering new bands – ones that were at least “new” to me – and Mastodon was getting an increasing volume of attention from rock and metal magazines. I wanted to hear what this band was about. So much buzz – and an overwhelming amount of positive reviews. So, I purchased Blood Mountain – the band’s 2006 album that was also their newest at the time. I figured I’d start with their newest and go back from there. Before I get into anything – a quick word about Blood Mountain… There are certain albums that will forever have a special place for you. They are just so good, from start to finish, that you go through a short period of extreme obsession and listen to the entire record every day for a few weeks straight. Blood Mountain is one of those albums for me. I love every second of it. And it was also my introduction to Mastodon. I’ve been following them ever since. They released four more studio albums since then and I think they are all excellent albums with Mastodon trying new ideas with each one. Evolving – but never really changing their music’s essence. I especially love Crack the Skye (2009) – which is another huge fan favorite. After Crack the Skye, Mastodon released The Hunter in 2011 and Once More ‘Round the Sun in 2014. While they offer great tracks, and show a different side of Mastodon with each song, I could never get into them the way I did with Mountain and Skye. But upon listening to the quartet’s newest effort, Emperor of Sand, multiple times a day since I got it (short period of extreme obsession), I must say I’m blown away! In my view, it’s right up there with my other two favorites. Emperor of Sand… So much to talk about with this one. Let’s get started! We have another concept album; and our story here is of a desert wanderer who is hit by a curse. The Emperor of Sand enforces a death sentence upon our protagonist. The desert wanderer, with the sentence looming above his head, drifts through this massive wasteland. He starts becoming more aware of time slowly slipping away. And he ponders the question: what do you do with your time if you know it’s about to end? The concepts explored throughout the album are dark; time slipping away and one’s inability to change that. But there’s a reason this dark concept was explored by the band. The record itself is a metaphor for cancer – a disease that affected the band members significantly. 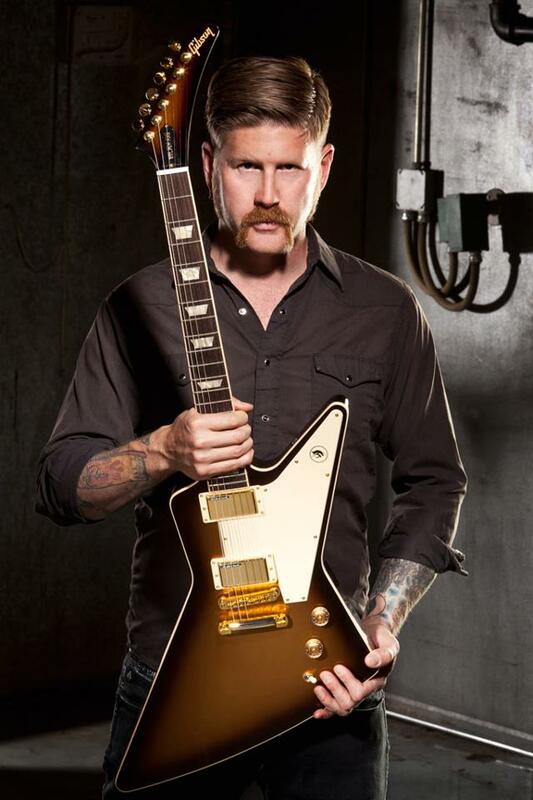 Shortly before the band started writing new material for the album, guitarist Bill Kelliher found out his mom had been diagnosed with brain cancer. Kelliher contributed the bulk of the songwriting on this album – and he came up with his riffs as he was visiting his mother, whom he later lost, frequently while she received treatment. The band’s drummer, Brann Dailor, also had to deal with this awful disease as his mom was diagnosed with lung cancer. Kelliher and Dailor would get together, talk about how cancer was affecting their lives, and then start demoing song ideas. 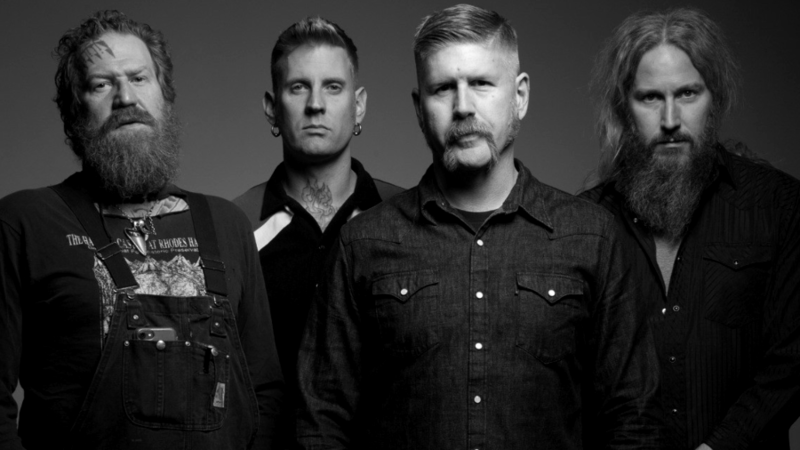 Bill Kelliher says in a Rolling Stone article that themes like death and time slipping away were the “elephant in the room”. So, the band decided they were going to talk about it – with heavy metaphors. Talking about personal tragedies is not new to Mastodon. When Crack the Skye was released, Brann Dailor acknowledged that it was a way to pay tribute to his late sister, Skye, who committed suicide in 1990. Just like the themes of Emperor of Sand, these are obviously very difficult, and very personal, matters to talk about. I highly respect the fact that Mastodon could find a way to turn these emotions into an album with such inspiring music. You can’t change the past, you can’t change your feelings over a certain thing. But you can talk about it, share it, and create a brand-new story inspired by it that will make a change on other people’s lives. The music, along with the lyrical content, takes you on a ride in this fictional desert the band created. 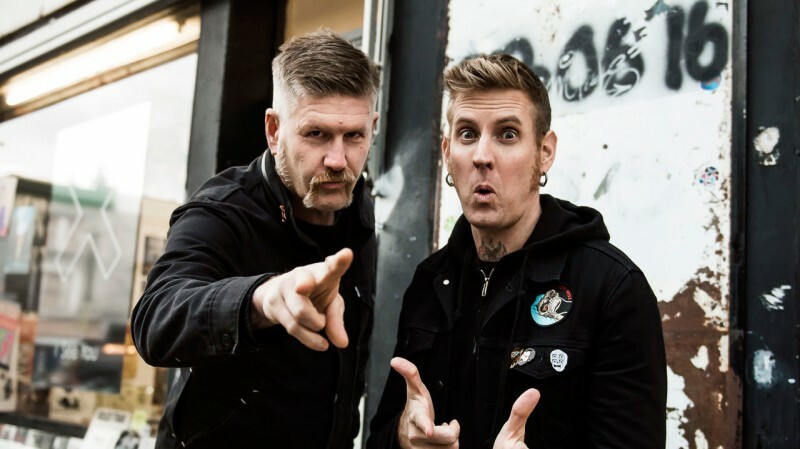 Brann Dailor, who was the closest witness to Bill Kelliher’s riffs as they were developing, started picturing “vast, desolate expanses that became the album’s primary setting.” He goes on to say “Cinematically, in my mind, it sounded like the desert.” And there, the band had their concept for the album! Cancer had reared its ugly head – but it wasn’t going to make a blunt appearance, it instead was going to lead the way for a multi-faceted story. Pitchfork said it best when they reviewed the album: “Musicians often rationalize losing their edge by talking about ‘maturity’. Mastodon can now feel free to use the word without lying to their fanbase”. The music you hear on this album finds the four individual musicians letting go of any desire to write a hard-to-play section just for the sake of showing off their skills. Instead, they focus on the composition. If you watch the YouTube series the band uploaded, documenting the recording process for Emperor, you’ll see them talk about this in detail. Brann Dailor, whose drumming style has a lot of fills, rolls back just a little to let the riffs and vocals breathe more. The same musician also assumes some of the most demanding vocal duties on the album and executes them flawlessly! The band, in general, embraces melody like they never did before. They were always the kind of band that rejected labels – and you certainly couldn’t put a label on this one! You could argue it’s a metal record on some aspects; but there’s so much more in there. I find them so focused on this album. I feel like they took their time to hone every part of every song and pushed themselves. If you expect lots of screaming and only aggressively fast music with a drum fill every 10 seconds, this isn’t the album for you. This is very much in the vein of Crack the Skye and I think that’s what makes it such a strong record. We begin with “Sultan’s Curse” – the opening track that kicks off with the fast-paced riff that grabs you right away. Troy and Brent trade vocals parts and set the stage for us. “Memories of loved ones only passing me by…” sings Brent. Brann sings towards the middle when we get to a nice, melodic breakdown. There’s a sweet, melodic solo from Brent Hinds that reminds me of Michael Schenker and Angus Young – but I keep focusing on the rhythm behind the solo, it just keeps such a great groove. A lot of songs on this album has gotten positive reviews, as far as I can tell. But there’s an exception for some reason. 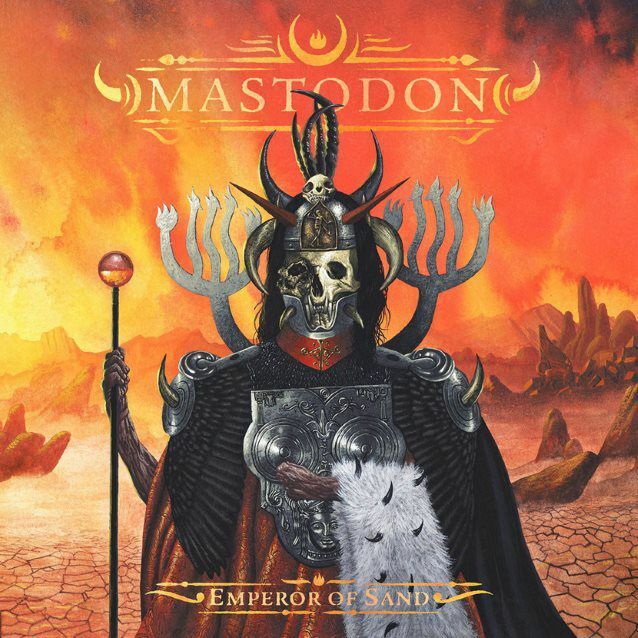 The second song, “Show Yourself”, has some reviewers frown because it’s a “simpler” song for Mastodon standards. I don’t get that kind of approach, though. Why would you judge a song negatively just because it’s more straightforward than others? I personally love this song as much as I love all the others because it highlights how great of a singer Brann Dailor is and shows a completely different side of Mastodon. To add to that, the part where Troy Sanders starts singing and goes “You’re not as safe, as far as I can tell. And I can tell” is one of the most haunting parts the band has ever written. The melody is captivating. I don’t get how you could brush this one off because it’s not as complex, but to each their own. Subject matter might be heavy… but these guys also appreciate the lighter side of life! One of the best songs on the album undoubtedly is “Steambreather”. It gives me goosebumps to even write about this one because I think the groovy riff, combined with Brann’s vocals at the beginning set up such a mystical stage. Brent complements it with leads that sound exotic and suddenly you’re inside the desert, wandering around. 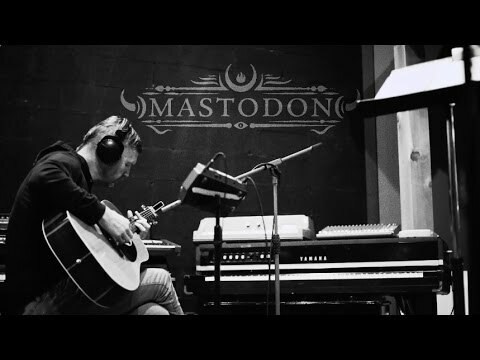 I think all guitars and vocals on this song are excellent but the main reason I love this one so much is the chorus where Brann sings “I wonder who I am… Reflections offer nothing.” To me, Mastodon’s biggest strength is being able to find a catchy vocal melody that contrasts the heavy riffing to create an atmosphere that grabs your attention right away. And right here, you can also see the metaphors breaking away just a little and you peak into the writers’ hearts. The three vocalists in the band (Troy, Brent, Brann) have improved their vocals so significantly over the years that they no longer shy away from singing melodic parts without needing to add screams frequently. If you asked me what song represented the album best, I would vote for this one. Then we kick into “Roots Remain”. It starts with an acoustic intro from Kelliher. And then, in true Mastodon fashion, we kick into high gear with a fast and groovy riff. The chorus is a bit slower, but only to highlight the melody in the incredible singing. Brann does a lot of singing on this one. I am amazed at how good he sounds. I prefer the melodic singing to screaming, so I was delighted to hear a lot of great vocals – this song being a prime example! There’s a dark vibe to this song, starting from the acoustic intro, to the main groovy riff, to the chorus. Given the themes explored, it’s understandable. Bill Kelliher has said this song still “conjures up the helpless horror of watching” his mom suffer. It’s a heavy subject – and you’re going to feel it here. Then we’ve got the wonderful “Clandestiny”. My kind of song! Again, I hear some Crack the Skye vibes. I love the main riff that gets the song started. And right before the 2-minute mark, the song kicks into an amazing section with synthesizers, giving the song a ‘70s psychedelic-rock edge. It’s very different – even for Mastodon! I’m glad they went there because it generates a whole new vibe for the song, as well as the story. It’s one of the highlights of the album for me. There’s so much depth to this song. It’s going to be one of your favorites, I guarantee it! “Andromeda” is a slower song compared to the others. Troy and Brann trade vocal duties – that creates a nice contrast as Troy does the more aggressive singing, and Brann takes over for the more mellow chorus section. Later in the song, they go for a massive Blood Mountain feel and make incredible use of dual guitars. Groovy, haunting, and beautiful. “Scorpion Breath” reminds me of early Mastodon. The vocals are much more aggressive and the riffs are meant to accompany that. Drums go back to being super fill-heavy. I think this will please Remission and Leviathan fans. I like it a lot too – but I don’t think I’d put it among my top 5 from the album. We come to the end of our journey with “Jaguar God”. It’s perhaps the most ambitious song on the album, clocking in at about 8 minutes long. It starts with a mellow intro with acoustic guitars and piano. Brent does the mellow, melodic singing here which was surprising to me. Usually he has more aggressive vocal parts but I like that he pushed himself to do something different. And after the melody changes, we get to yet another prog-rock infused section that goes from psychedelic mysticism to enticing melodies. And then… We kick into high gear! Mastodon wouldn’t let the album close without getting you headbanging for a bit! There’s a fast-paced and intricate guitar riff and you can’t help but let yourself loose with each snare hit. Every guitar lick spread around this part of the song is something only Mastodon could write – they’re all different, they all add a different taste, and they all leave you guessing. You never know where “Jaguar God” is going to go. Towards the end, we go back to the initial melody and Brent solos over it. We prepare ourselves for the end of the road as the music winds down. We hear an evil laugh at the very end – perhaps from the Emperor of Sand himself. This is how the story ends. These were some of my favorite moments on the album but you’ve got many more with the rest of the songs too. “Precious Stones” has a great Blood Mountain vibe and talks about an important theme in the album: don’t waste your time! “Word to the Wise” lets Troy Sanders, the band’s bass player, shine a bit more. He’s a great musician in his own right; but because Mastodon is a guitar oriented band he doesn’t always get the recognition he deserves. And “Ancient Kingdom” shows once more that the band is capable of writing hooky choruses. All different, all add something interesting to the story. Yet another reason to appreciate what Mastodon has done with this record. Like I said, they don’t care about labels – they wear all of their influences on their sleeve and proudly display all the chops they’ve got. Reviewing albums are highly subjective. So, take all of this as an opinion piece and listen to the album yourself. If you are into progressive rock, concept albums, and constantly changing tempos and melodies, this is the album for you. If you are already a Mastodon fan and loved Blood Mountain and Crack the Skye, this is the album for you. To me, it’s perfect. I wouldn’t change a thing about it. I’ve been a fan of this band since I discovered them almost 10 years ago – and I have a feeling I’ll be a fan forever. I especially have a huge amount of respect for all 4 musicians because despite all the pain they must have gone through, they still have a great sense of humor, they’re still able to see lighter side of life, and most importantly, they’re still channeling everything they’ve got into a great work of art. And I thank them for it. Awesomely written! I’d like to see a review on Amon Amarth’s Jomsviking. I feel like it is my current favorite album. Keep up the great work, looking forward to seeing your next article! Thanks so much for reading, my friend! I’d love to review Jomsviking, and write about Amon Amarth in general. I don’t know that much about them – this would be a good way to learn more. I very much appreciate the comment – feel free to submit your thoughts any time!